John Masters Organics are one of those all-natural brands that somehow manages to excel in all areas of beauty and their vast range of products is a real pleasure to explore. They are perhaps most well known and loved for their haircare though, so it's about time that I shone a spotlight on this wonderful organic company. 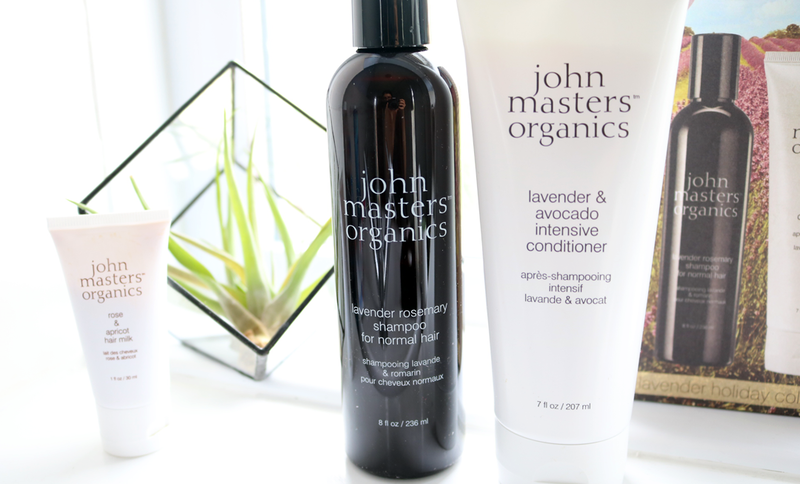 John Masters Organics is the brainchild of celebrated American hairdresser, John Masters. He's worked within the major fashion and celebrity cliques throughout much of the '80s and began to do research into the world of organic ingredients when he discovered that many of the products that he was working with on a day to day basis contained potentially toxic chemicals that were being linked to numerous health problems. Determined to make a change, he began working on clean and organic haircare products that were not only environmentally friendly but also effective enough for him to continue to use on his celebrity clientele. Thus, John Masters Organics was born and it continues to be one of the most successful and innovative luxury green beauty brands on the market. I've used many of their products over the years, including JMO's bestselling Lavender haircare line which I'm going to focus on today. Developed for normal hair, this shampoo is one that I've recommended many times to friends and family who want to try an SLS-free shampoo. It's packed full of natural ingredients such as Rosemary, Lavender, Aloe Vera, Jojoba Oil and Nettle, plus it contains an interesting complex of Wheat Amino Acids and Soy Protein to help to strengthen the hair. This shampoo does have a strong herbal-meets-lavender scent to it, but I find it rather pleasant and relaxing - it's lovely to use if you're feeling a bit stressed! As you'd expect from an SLS and sulphates free shampoo, this won't lather up fully, but it does provide a small amount which allows you to easily massage it into the scalp. It gives a really deep clean, banishing any dirt, excess oil and residual build-up, and leaves hair feeling refreshed without being stripped or dry. I love it! Suitable for all hair types including colour treated. If you love eating avo on toast, you'll be pleased to know that this superfood is also good for your hair. However, if you don't fancy a DIY treatment, you can just pick up this conditioner instead! Formulated with the likes of Lavender, Avocado Oil, Jojoba Oil, Soy Protein and Honey to name but a few, this conditioner is a great match for the shampoo above and will help to soften dry hair without weighing it down. I do think that it's not really 'intensive' though, as it feels very much like a regular (but high-quality, of course) hair conditioner that you can use every day, rather than a super thick once-a-week hair mask job, so it's definitely one to use on a regular basis instead. Leave-in conditioners are a godsend for anyone who has frizzy or dry hair, and JMO's Rose & Apricot Hair Milk is fantastic for keeping those pesky flyaways at bay. It's full of nourishing natural ingredients such as Rosewood Oil, Rose Geranium Oil, Shea Butter, Apricot Kernel Oil and Rosehip Oil, yet it feels wonderfully light in texture and it won't make your hair look greasy or feel weighed down. You only need to use a tiny amount of this cream through the ends and lengths of your hair, and you'll be guaranteed a good hair day every time! 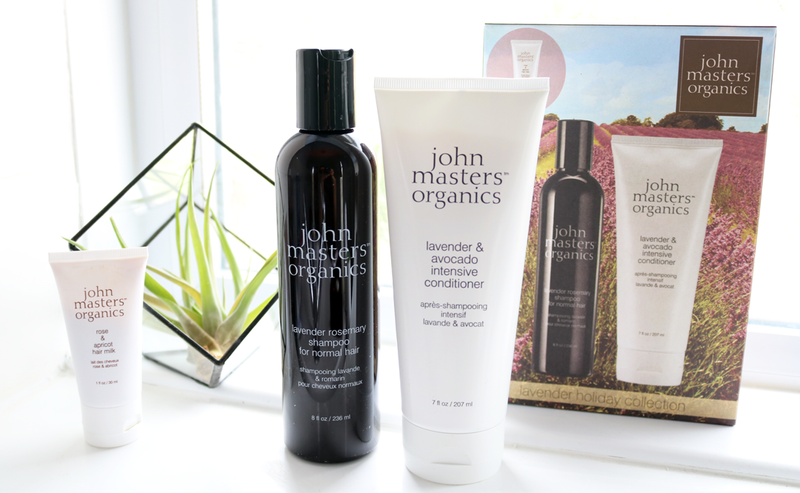 Have you tried anything from John Masters Organics?